Offering you a complete choice of products which include hotels bathtubs. 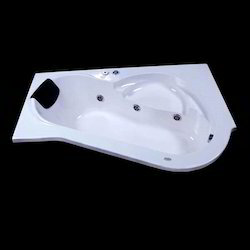 We are one of the well-known exporter, manufacturer, supplier, wholesaler, trader, retailer and importer of Bathtubs For Hotels. The offered bathtubs for hotels are very widely used in the hotels, motels and restaurants, across the country. Our supplied bathtubs are made from superior grade raw materials, sourced from very reliable vendors in the market. The supplied bathtubs are available at very cost effective market rates.